There is an unwritten rule in government, at all levels, that whenever it fails, the appropriate (if not immediate) response is to double down on more government solutions. Is regulatory red tape making it impossible to do business in a state? No problem! Tax the remaining “rich” people. Having trouble paying for all those costly city social programs? Do as Chicago does, and get that money back impounding the cars of the underprivileged! Let’s also not forget that after the Bureau of Land Management’s suspect grazing policies nearly provoked a modern-day “range war” at Bundy Ranch in Nevada, the BLM’s first response was escalation with armed confrontation. It should come as no surprise then that this same rule applies to government’s approach to mass shootings. Take, for example, the Federal Bureau of Investigation’s announcement that it was adding yet another database for background checks in screening gun purchases. The FBI claims the expansion is necessary to close the so-called “loophole” that let Charleston, S.C. mass killer Dylann Roof purchase a firearm. They make no mention of the fact that there was more than enough information to stop Sutherland Springs, Texas, killer Devin Kelley, but it was the Air Force who failed to properly report his domestic violence offense to the National Instant Criminal Background Check System (NICS). Another “loophole,” perhaps? A more accurate term for such lapses is simply run-of-the-mill government incompetence; the type of which cannot be compensated for, only hidden, with new and more complex layers of bureaucracy; solutions paraded to the public as an additional “failsafe,” which it claims were not in place the last time they screwed up. It is a transparent way to save face, as opposed to taking truly corrective action; such as using their budgets to hire and train the types of employees able to execute their basic responsibilities – the problem to begin with. The FBI is not alone in its head-first dive into expensive non-solutions for problems of its own making. A school district in South Carolina is now considering spending up to $40 million (a figure likely to rise) to install “bullet proof doors” in its schools. Never mind the fact that such doors on classrooms have not once been a factor in school shootings, nor the fact that schools should instead focus on identifying and stopping potential school shooters before they ever step on school property. Nope. 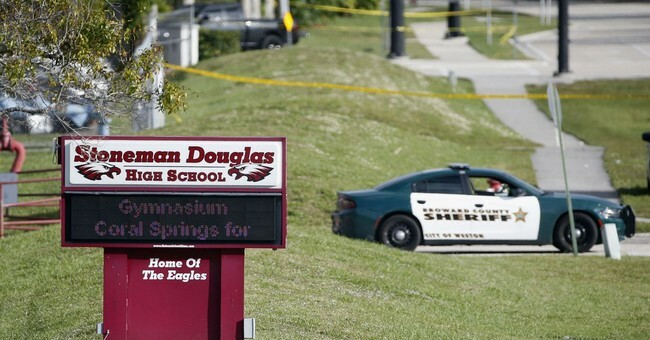 The systemic failure of schools to recognize school shooting threats must first and foremost be addressed by cash-strapped districts spending millions on what amounts to nothing more than an emotional safety blanket. In the world of government, this actually makes sense. And, what about our friends at the Broward County Sheriff’s Office, the police department which had an officer cower outside Marjory Stoneman Douglas High School as the school shooter targeted victims inside, then whose sheriff, Scott Israel, blamed guns and the NRA for the shooting, rather than his office’s numerous missed red flags regarding Nikolas Cruz? Well, last month they were on Twitter flaunting an expensive new police cruiser, asking followers if they liked the paint job. All of these examples are provided not merely to ridicule, but to demonstrate an attitude among government, at all levels, that believes if it can blow enough smoke, people will forget who was responsible for these tragedies in the first place. In psychology, the term gaslighting refers to psychological manipulation that makes its target question their sanity, perspective, or memory; this is essentially what is happening here. Law enforcement, school officials, and numerous federal agencies such as the FBI, could not possibly be at fault; instead they claim they were prevented by Congress, or the NRA, or voters, from doing what they had always claimed was necessary, that resulted in these tragedies. And, how dare you blame them! More than just deflect rightful responsibility, this behavior encourages agencies to save face and maintain business as usual, rather than actively working on fixes to the obvious problems. The result is that after any tragedy, citizens see a great deal of yelling and finger pointing, but rarely genuinely corrective action. Instead, they are shown proposals for expensive bullet proof doors, and of course the Democrats’ reflexive calls for gun control, but little that actually deals directly with the root problems. There is at least some hope, however. The United States Secret Service released this month a 30-page report on school safety and threat assessment; a multi-disciplined, collaborate study focusing on the facts, rather than politics. It is a modest start, but at the very least, the USSS study serves as a model for what is possible when hubris is put aside, and the government admits it failed, and can do better. Here, even in this limited case, may we actually see progress, rather than just more government bumbling.